To be a real Chicagoan, you need to have some go-to ethnic restaurants. DEVON AVENUE While the Check, Please! watchers crowd into Hema’s for cream-laden chicken tikka masala, the Devon veterans know that Sabri Nehari (2502 W Devon Ave, 773-743-6200) is where the real flavor is. The don’t-miss dish is the namesake nehari, a spicy Pakistani pot roast smothered in gingery gravy that begs to be sopped up with fluffy garlic nan. LITTLE ITALY Skip the samey red-sauce joints and go for the best of the basics, starting with a dipped Italian beef with giardiniera from Al’s Italian Beef (1079 W Taylor St, 312-226-4017) and moving on to Italian ice at Mario’s Italian Lemonade (1068 W Taylor St, no phone), a summer-only stand where the frozen concoctions include hunks of real fruit. ARGYLE STREET Known simply as “Tank” to regulars, Pho Xe Tang (4953 N Broadway, 773-878-2253) bustles with Vietnamese teenagers sipping bubble teas, families slurping the fragrant namesake noodle soup and frugal couples rhapsodizing over the generous portions of goi ngó sen (lotus root salad) and bo lúc lac, tender beef over watercress. CHINATOWN Capsicum addicts get their fix at Lao Sze Chuan (2172 S Archer Ave, 312-326-5040), where just about every signature dish denoted by asterisks and the words house special arrives with two fistfuls of dried chiles. The dry chile chicken, ma po tofu and Chengdu dumplings are required eating, but with a menu 600 items deep, you’re likely to find your own favorites through a little trial and error. 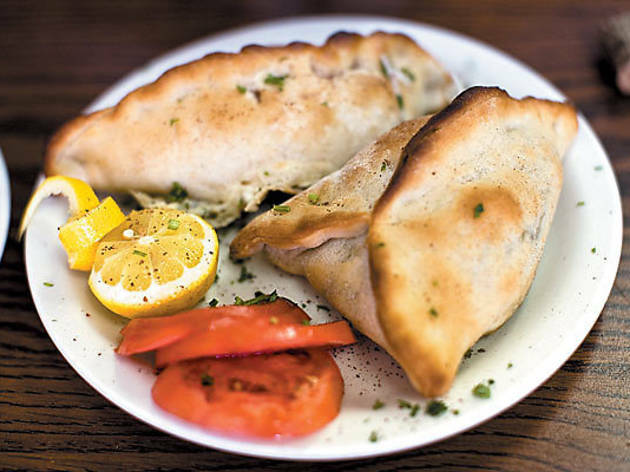 KEDZIE AVENUE In the sea of Middle Eastern eateries along Kedzie, Salam (4636 N Kedzie Ave, 773-583-0776) stands out not only for charging less than a quarter for its falafel, but also because its falafel is the best around. 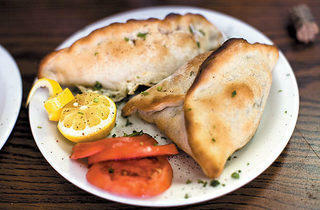 Meatier fare includes juicy kibbeh and daily specials like tender cabbage leaves filled with minced lamb.